Some whitening products for Filipinas claim that your skin will lighten in just a matter of two weeks. Some will work faster and others don't. There are also whitening products that are injected, taken orally or applied directly to the skin like lotions and bath soaps. Bleaching and whitening creams are also skin whitening products for Filipinas that has become a popular choice for those who want to have a fairer skin. 1. 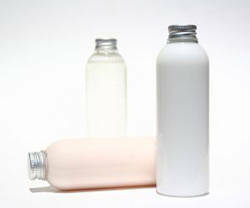 Whitening soaps and lotions – soaps and lotions are the most convenient to use. Papaya, glutathione, and kojic acid are the most commonly used ingredients. Papaya variants include green papaya, ripe papaya, and papaya with calamansi. Extracts from cucumber and turnips are also used. 2. Toners and Astringents – these may include chemical substances like tretinoin, and hydroquinone. Tretinoin in these skin whitening products treat skin discoloration but you will to have to stay away from the sun since it makes your skin sensitive to the sun. Hydroquinone, on the other hand, only inhibits the production of melanin, which is responsible for the our skin color. These two substances are sometimes both present in a particular skin whitening product. 3. Bleaching products – these whitening products for Filipinas come in powder or cream form. The most common ingredients used in these whitening products are hydroquinone, kojic and mandelic acid. 4. Chemical Peeling – this is usually performed in medical offices or hospitals. Peels vary from mild peel, to medium and deep chemical peel. For mild chemical peel, no anesthesia is applied since the stinging sensation that the patient will feel is tolerable and relatively mild. In medium chemical peel, a tranquilizer and a pain killer is usually given to minimize the burning sensation that the patient may feel. Deep chemical peel maybe performed under general anesthesia or sedation. 5. Glutathione Injections / Oral Glutathione – the former is done intravenously. 600 mg. of glutathione is administered per session. An interval of one to two weeks is advised but some people do it on a three-day interval. The effect is faster compared to oral glutathione. To achieve the best results, most doctors recommend 5-10 sessions. Oral glutathione is less expensive than its IV counterpart; and its effect is not as fast as the former, but will whiten your skin better than soaps and lotions. The best whitening products for Filipinas are those that will give you the results that you want. Do some checking and make sure that the one you chose will be the right one for you.The last thing that you want are skin irritations and problems.